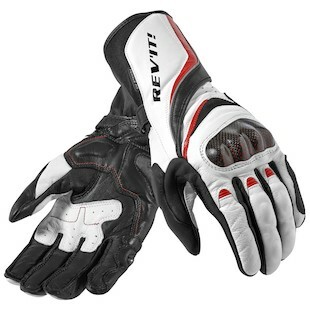 This summer, look no further for the perfect riding glove. Whether you ride a hog, an R6, or something in between, REV’IT!’s Xena or Bomber gloves will protect your assets in style. Think back, isn’t that the way you pictured it to be? 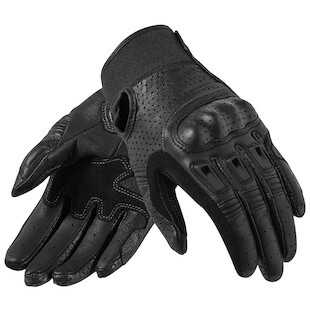 Let’s face it, driving gloves look good on a motorcycle. Steve McQueen knew it and so do you. Whether you’re a guy or gal, you recognize the King of Cool. But driving gloves start to feel somewhat inadequate at highways speeds. All of a sudden you look down and think, why didn’t I bring my real riding gloves? You know, the one’s that make you feel confident while maneuvering through traffic, but resemble what Batman wears while he’s saving Gotham. The REV’IT! Women's Bomber Gloves are the answer to your indecisiveness. All black, short cuff, hard knuckle protection, race fit and lots of ventilation. Say what!? Hard palm slider too? Check. Supple but strong goat skin? Check. Who knew. For the women who have a serious need for speed, REV’IT! is offering up the Xena gloves. They come in a wider variety of colors and an enhanced level of protection for the knee dragging princesses of the road. In addition to goatskin, the REV'IT! Xena Gloves are constructed with a heavy duty PWR yarn that will ensure these gloves back you long after they have been put through the wringer. And of course, there is also hard protection at the knuckles, palm and little finger should you need it.